Frank Zito is the mentally disturbing mad man that goes on a killing spree after his mother dies. Frank murders then scalps the innocent young women who are his prey. When Frank meets Anna and starts dating her he soon finds himself wondering if he loves her or wants to scalp her like the rest of girls. 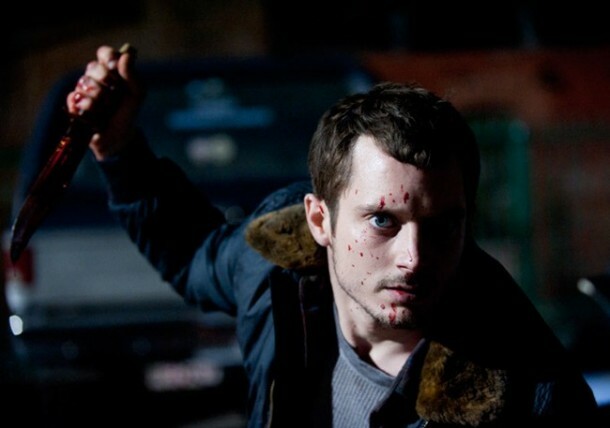 Elijah Woods (The Lord of the Rings, Wifred) stars as Frank Zito. Remember Elijah played a killer in Sin City and he was really good. 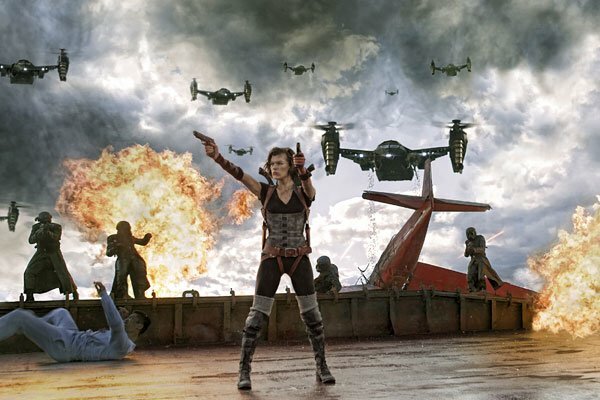 Milla Jovovich is back again as Alice and once again is on a mission to take down the evil Umbrella Corporation. This time the stakes are in even higher as this installment focuses on the world aspect. Promising to be bigger and badder than ever before. I am a fan of Resident Evil like anyone else and I am hoping for a great horror movie here. The internet is the source of many evils. Smiley is summoned through the internet. 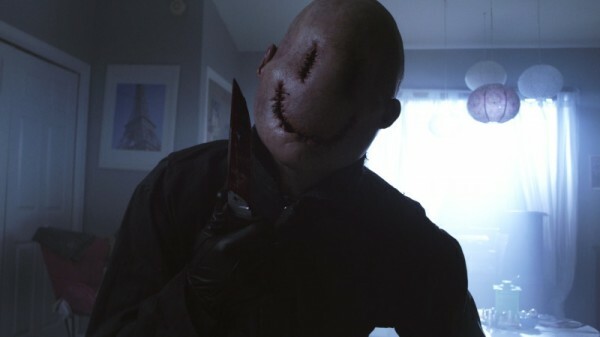 Smiley is a demented serial killer of urban legends whose face is blank save the smiley face that he has carved out. Summoner Ashley soon finds herself wondering if she is losing her mind or becoming the next victim. A group of misfit thieves are hired to rob a house and take a rare VHS tape. When they arrive at the house they start to feel scared and find themselves in a tough situation, there are hundreds of VHS tapes at the location. They must watch the tapes in order to find the right one. Each tape is scarier then the last. 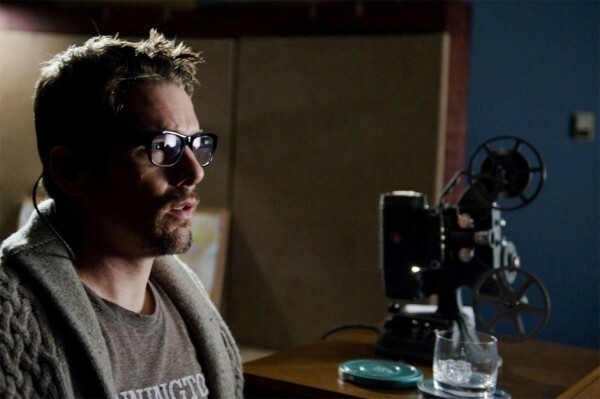 True-crime novelist Ellison, played by Ethan Hawke, buys a home for is family with a known terrible history of murders. He hopes to find inspiration for a new book he is writing. He soon finds a box of old home movies depicting the murders of the families who lived in the house before. 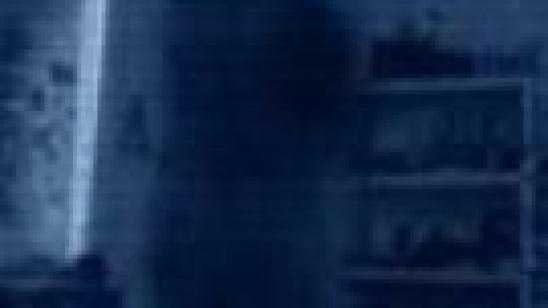 After carefully watching the videos he soon realizes that the murders are the result of a supernatural entity who now has turned it’s gaze to his own family. 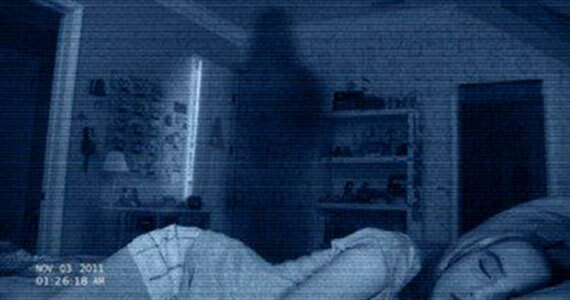 Paranormal Activity 4 takes place five years ago the events of Paranormal Activity 2. Katie and Hunter move into a new house. The neighbors start experiencing paranormal events in their own home. Talk about weird. Jennifer Lawrence stars as the daughter of a recently divorced mother who move into a new home looking to start over. They soon start to encounter strange events and learn that the town is hiding a sinister secret. Darren Lynn brought us The Devil’s Carnival not o long ago. Stephen Moyer (True Blood) plays a man who takes his family on a camping trip. For some reason he chooses The Pine Barrens and home to The Jersey Devil legends. He soon starts to believe that they are being stalked by The Jersey Devil while riding on the edge of sanity. Sam Raimi is back to bring us another horror movie that is looking promising, The Possession. A young girl releases an ancient evil Dibbuk demon from a mysterious old box that she buys from a yard sale. Sam Raimi brought us great horror movies such as The Evil Dead franchise and Drag me to Hell while being the producer of many more movies. I love the Silent Hill game franchise and the Silent Hill movie was good IMO. The sequel, Silent Hill: Revelation follows a girls who learns that her identity is not real. She finds herself transported to an alternate dimension where lies the evil town Silent Hill. Silent Hill is inspired by a real town abandoned in Centrailia, Pennsylvania where a coal mining accident occurred. No big deal there but the town is still on fire after 50 years making it a real scary place.